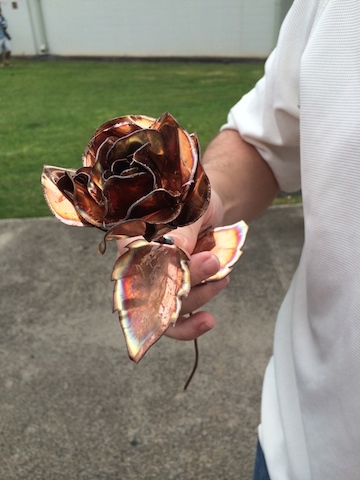 Honolulu Community College students studying Sheet Metal and Plastics Technology continue the program’s annual tradition of creating and selling the unique ‘forever rose’. More commonly made out of sheet metal, this year the program will be crafting only copper roses due to its popularity last year. The sale will take place Friday, February 13 at 9:30 a.m. at Honolulu CC’s Sheet Metal and Plastics Program located in Building 17 (behind the Administration Building), and will continue until the roses sell out. These one-of-a-kind roses make a special Valentine’s Day, Mother’s Day and Memorial Day gifts for only $15 each. Customers will be limited to the amount of roses they can purchase. The construction of these amber colored roses will take place February 10, 11 and 12 from 12:00 noon to 3:30 p.m. There will be no sales during the construction days. 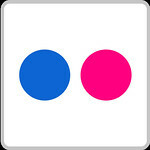 Money raised from the project benefits the program. 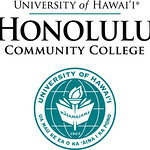 During the month of February Honolulu Community College celebrates National Career and Technical Education (CTE) month. Along with the college’s strong liberal arts program, Honolulu is proud to offer 21 CTE programs that include Sheet Metal and Plastics Technology, Cosmetology, Administration of Justice, and Occupational and Environmental Safety Management, to name a few. Discover more at www.honolulu.hawaii.edu.